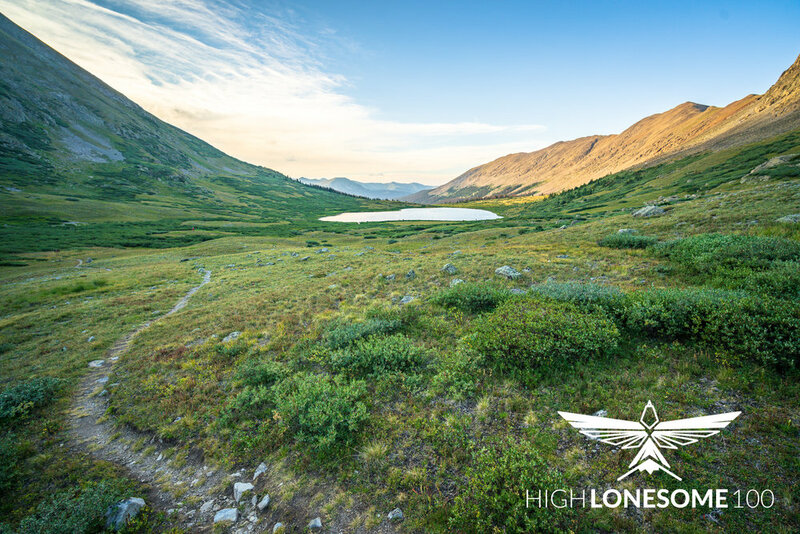 The High Lonesome 100 is a high flying endurance race in the Sawatch range of the Colorado Rocky Mountains. With 22,500' of vertical gain and reaching an elevation of 13,150', it's a hell of a course. The race runs in a loop through some of the most beautiful single track in the state, and takes runners on the Continental Divide and Colorado Trail, through 2 ghost towns, over 5 alpine passes, through remote basins, and over soaring ridges. It's also run and staffed by experienced and quality individuals, so you'll get to be a part of a wonderful community. If you're looking for a true mountain race, created in the spirit of the classic 100 milers, then look no further. This will be our third year, and we hope you will join us! Interested in running the race? You can find out about the registration process and requirements in this section. You can also learn about what races we are a qualifier for, find the Runner’s Guide, and the Runner’s Bill of Rights, and much, much more. Don’t forget to check out the rules and required gear sections before signing up, it’s all important stuff. Lastly, if you’re still not seeing what you’re looking for the check out our FAQ’s. Want to learn about the course? Start by reading the course overview and checking out the elevation profile and course map. You can also find a massive PDF version of the full course, as well as GPX/KMZ files and easy to print 8.5x11 quads of the course. Once you’re familiar with the course, you can read about the aid stations and find driving directions for crews as well as the Crew Manual. Lastly, you can read a brief course description to flesh things out. Want to volunteer at the race? GREAT! We need around 150 volunteers to do everything from course marking and sweeping, to aid stations and communications. We also need EMT’s, medics, and Nurses to be a part of our medical team. Depending on what you’re interested in doing, you can read more about the various roles, see available shifts, and sign up to volunteer. You can also find the Volunteer Manual and a driving directions to aid stations. The High Lonesome 100 is organized by an all-volunteer team of talented and dedicated athletes. You can read about how our race got started, learn about the directors, coordinators, and aid station captains. Want to know what we stand for? Read our value statement. For an even deeper dive, you can read about where the name and logo came from and what we’re working on next. 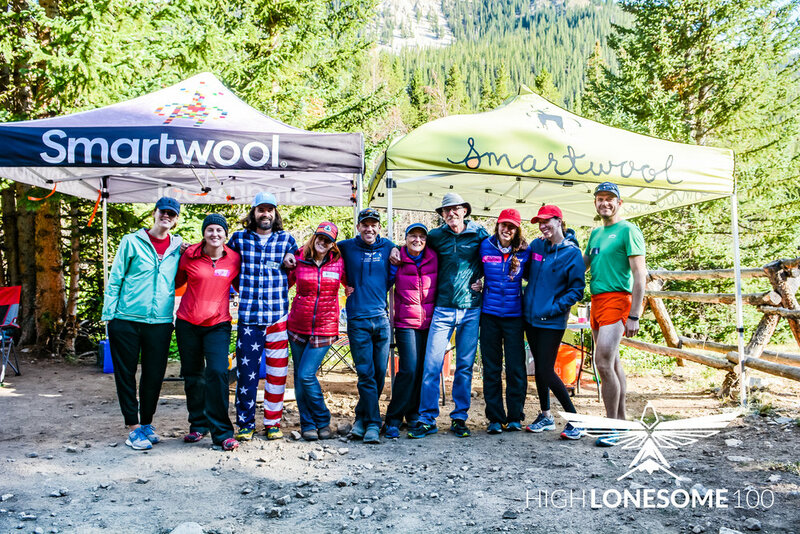 We have some incredible sponsors at the High Lonesome, and we’re not shy about. You can learn more about our Presenting Sponsor, Law’s Whiskey House and the many others who help us put on our race. You can also learn about our partnering Non-profits that we work with. Are you interested in sponsoring the race? Find out more about how to partner with us and what we can do to help your brand.